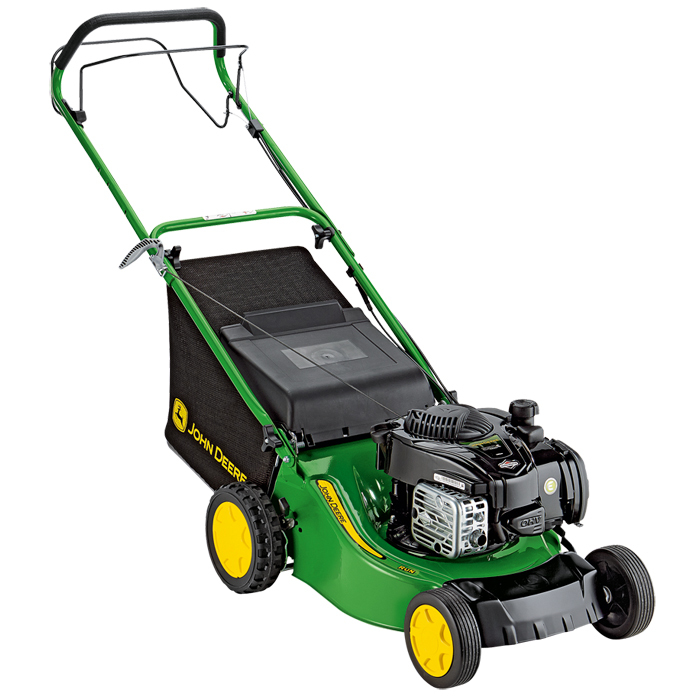 Walk behind - With their advanced features and simple controls, John Deere's push lawn mowers are a pleasure to own and use. 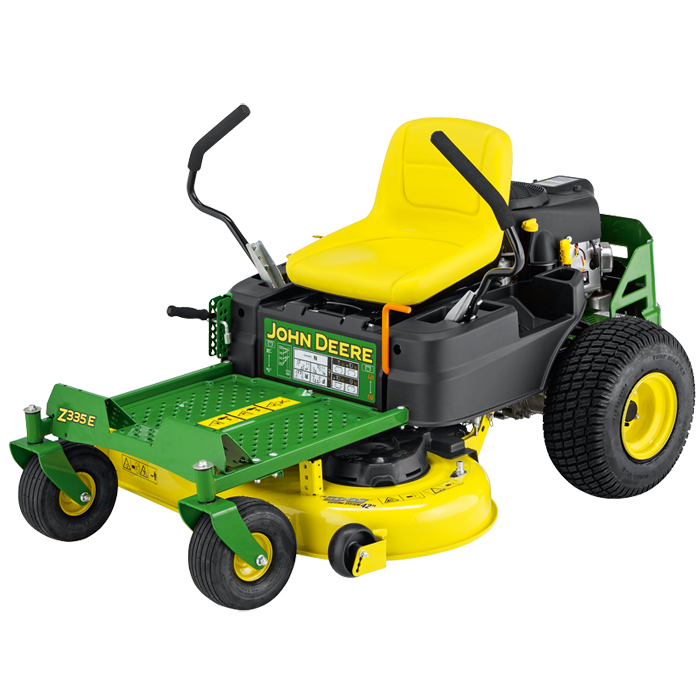 The John Deere range of hand push lawn mowers offers you the choice you need to meet your individual mowing requirements. With industry leading technology like TurboStar fan assisted collection and quality cast aluminium decks available on a large selection of models – you can rely on perfect performance each and every time. 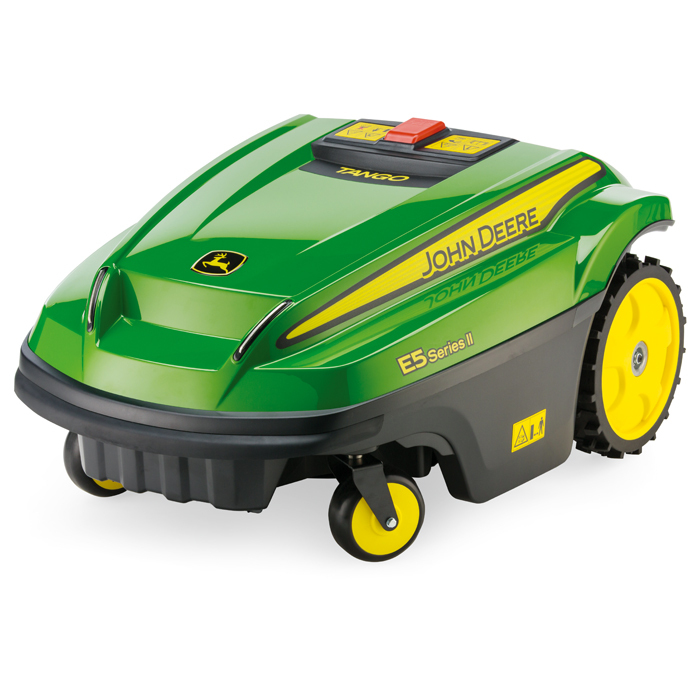 Choose from a broad choice of size, power and additional performance features across the extensive range. 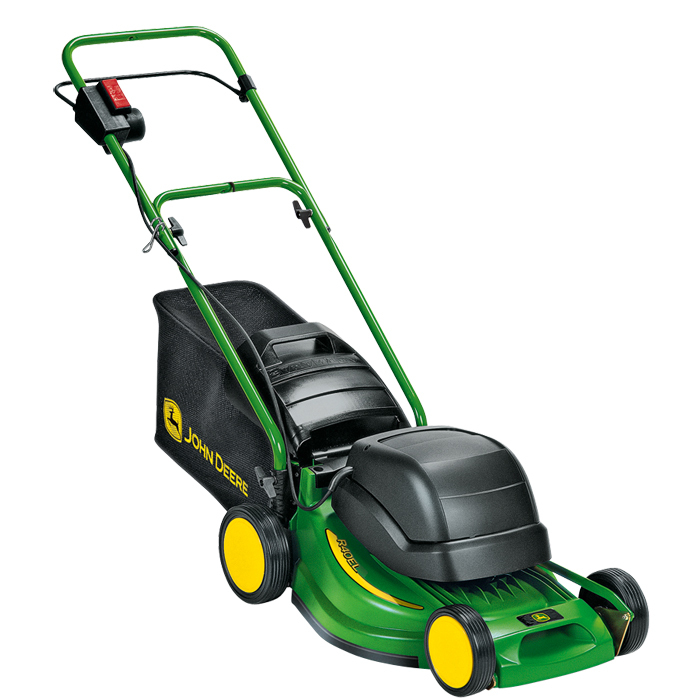 Help your lawn to grow in a healthy manner by using a scarifier to remove unwanted thatch and moss. 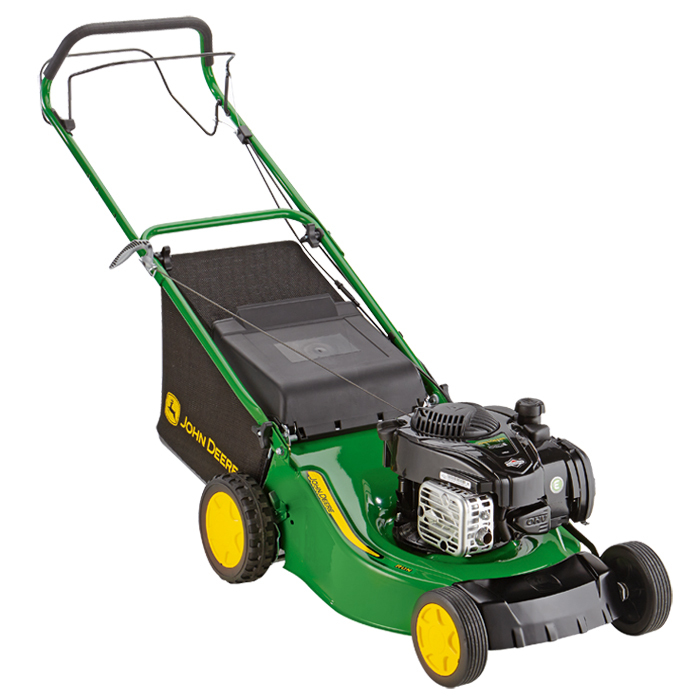 Choose from electric or petrol machines in a variety of different sizes. Riding Lawn Equipment - Perhaps it's what you don't notice on a John Deere that really makes the difference. 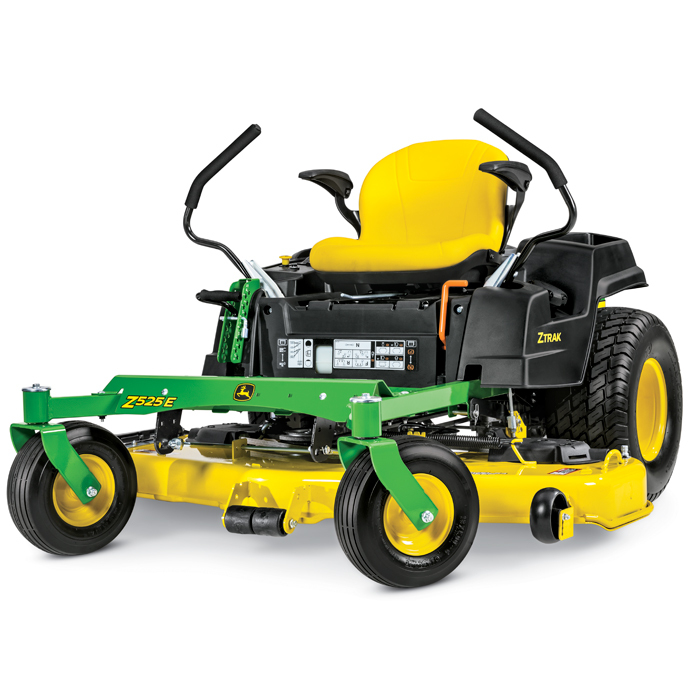 Designed for comfort, convenience and performance, John Deere lawn tractors are the ultimate in lawn maintenance. 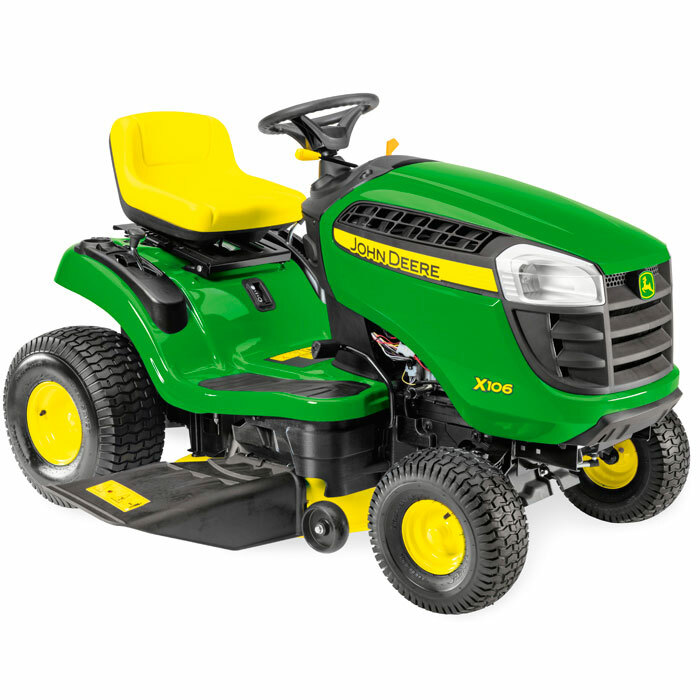 You’ll love the exceptionally smooth ride that comes with their high-quality transmissions and fully welded frame. 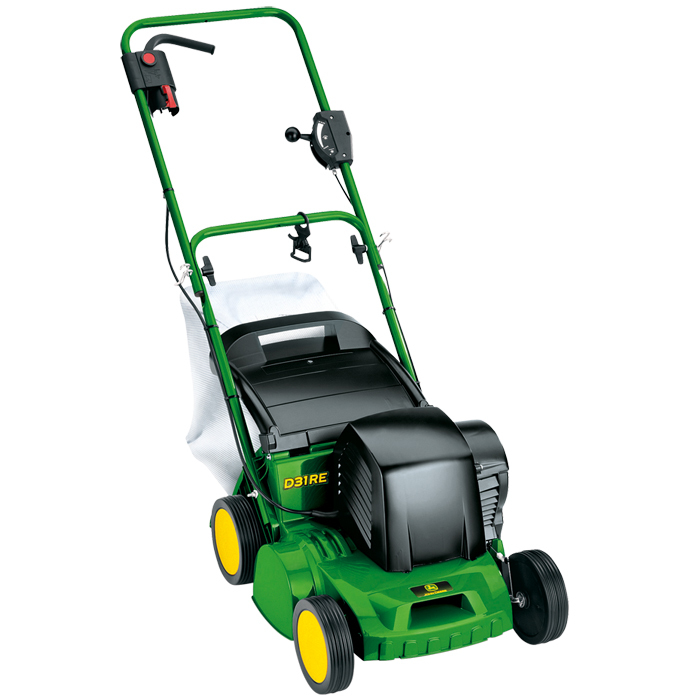 Standard Series lawn tractors are well engineered and of extremely high quality. 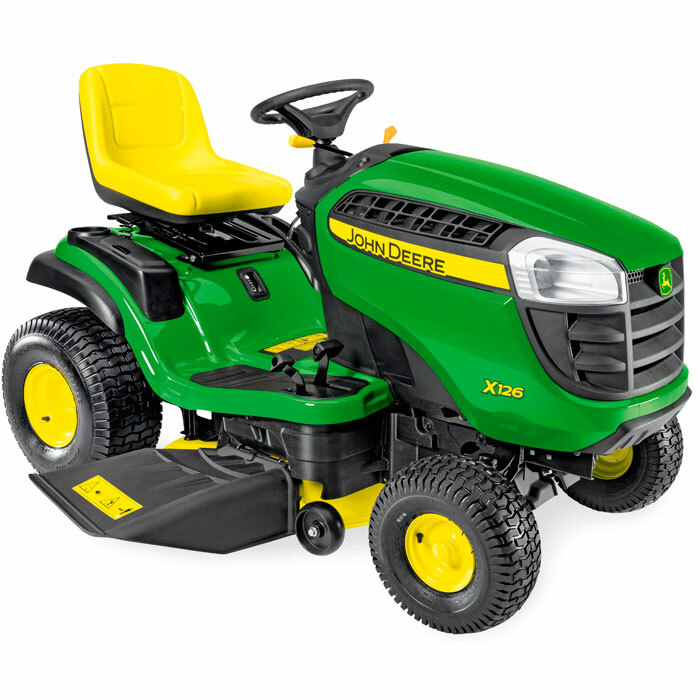 Select Series models deliver the next-level in performance thanks to a heavy-duty robotically welded frame, powerful fuel-efficient engines and high-precision cutting technology. 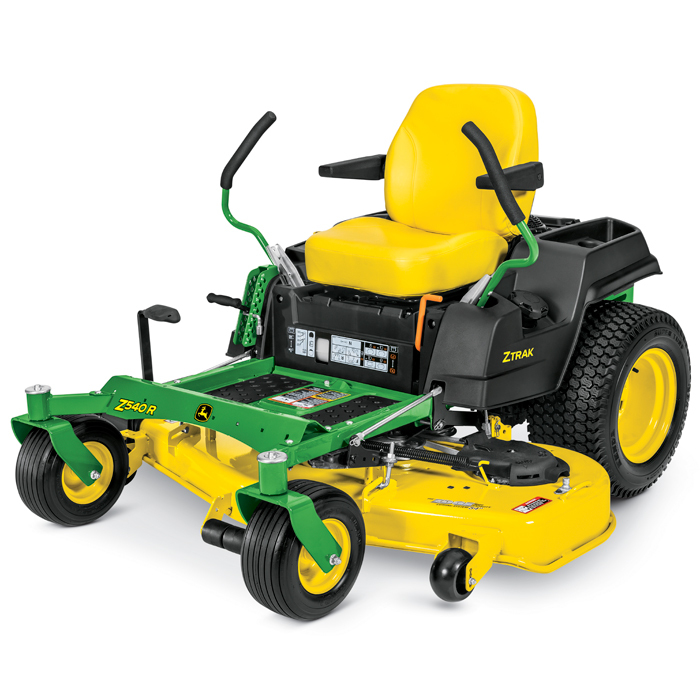 Formed from a single sheet of heavy gauge steel, the Select Series feature “Edge Xtra” mowing decks benefiting from superior build quality and delivering unmatched mowing performance.